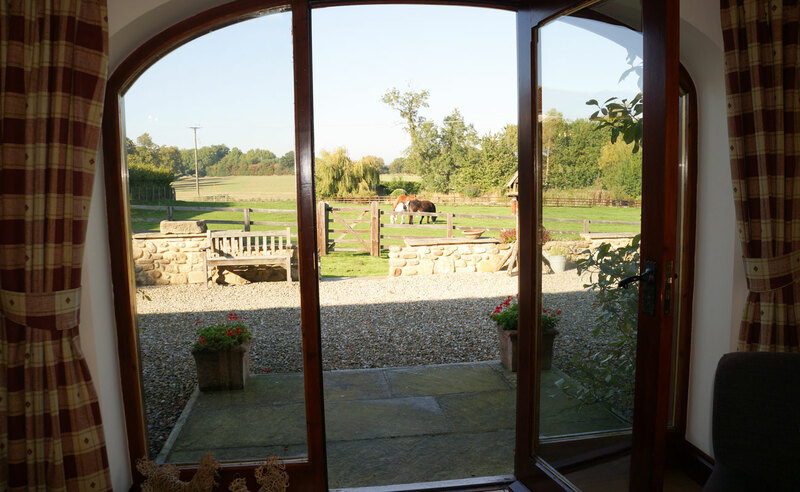 Escape the hustle and bustle in this family friendly barn conversion. 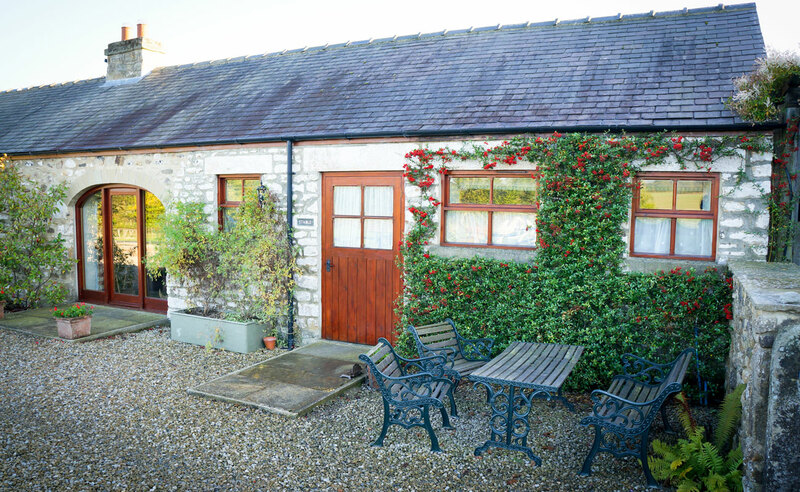 Stable Cottage is a two bedroom self catering cottage with an open plan living and dining area and superb views of the surrounding Teesdale countryside. 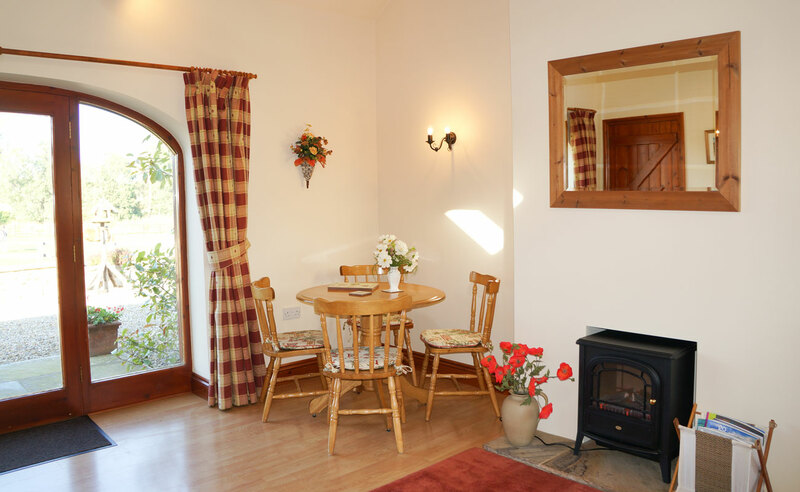 High, beamed ceilings give a spacious feel to this tastefully converted barn, with a cast iron log-effect stove to keep you cosy as you unwind and enjoy the view. 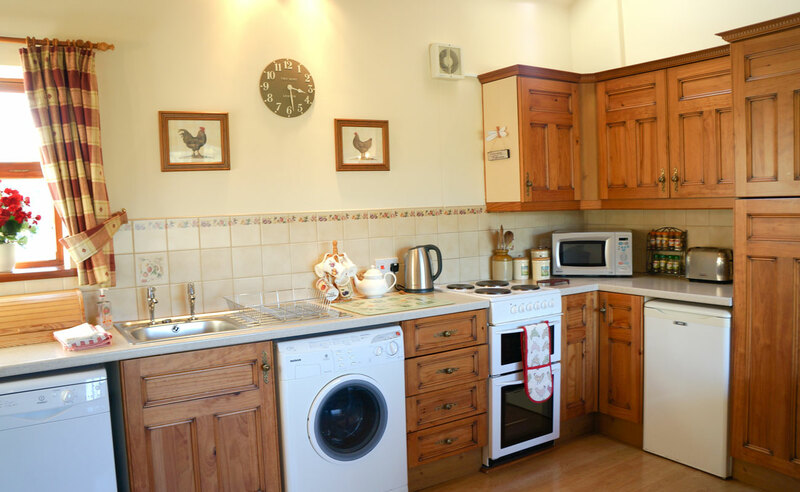 The fully equipped kitchen provides everything you need for a 'home from home' so you can relax and enjoy your holiday. 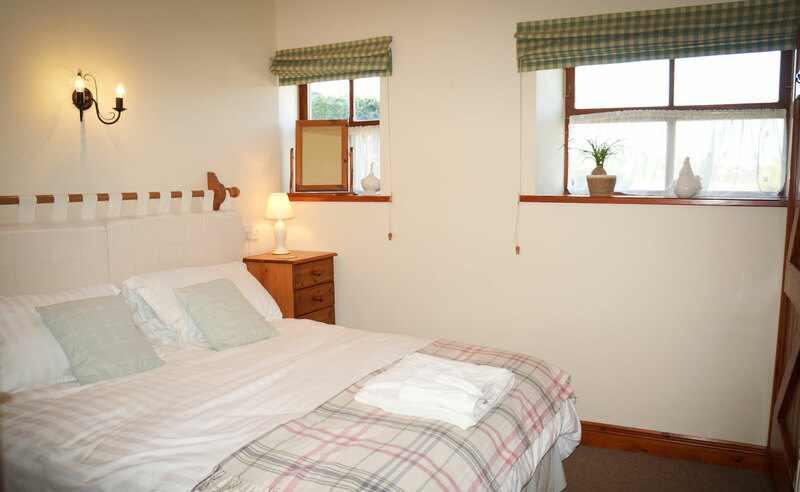 The master bedroom looks on to the orchard and has a king size bed and television. 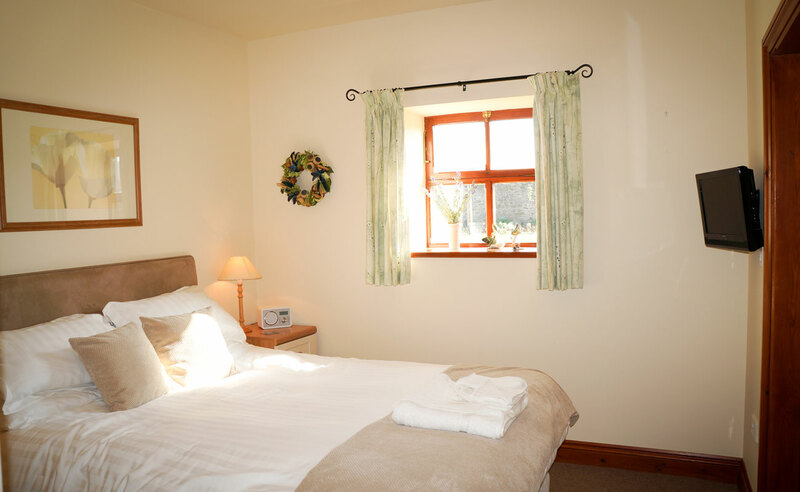 The second bedroom enjoys open rural views and provides either a 5″ double or 2″6 twin beds. 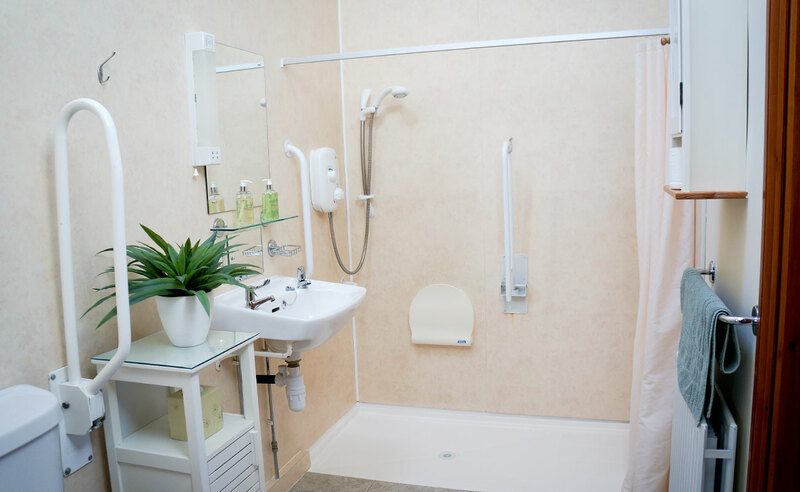 The large wet room is accessible independently from both bedrooms and is light and spacious, with walk-in shower and finished with large slate tiles. 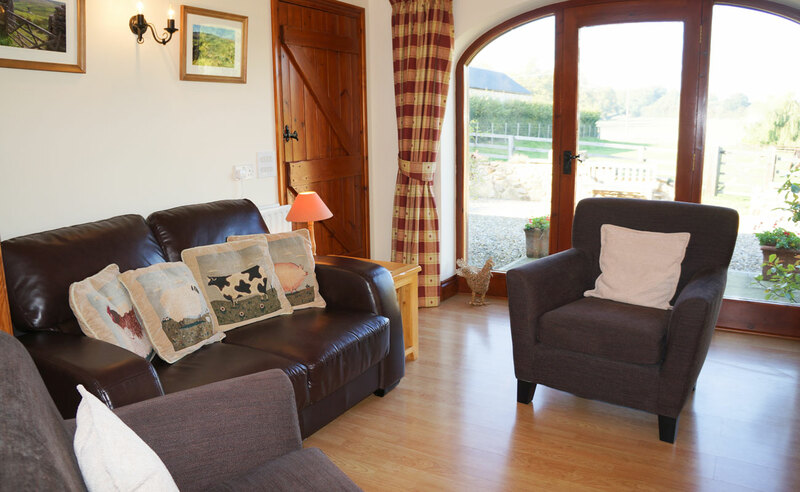 The animals on the farm and our outdoor garden area and games will keep the whole family entertained when the sun is shining, while in the cottage we have a great selection of board games, books and DVDs. The cottage garden has beautifully stocked borders with a variety of seating and patio areas to make the most of the daytime and evening sun. 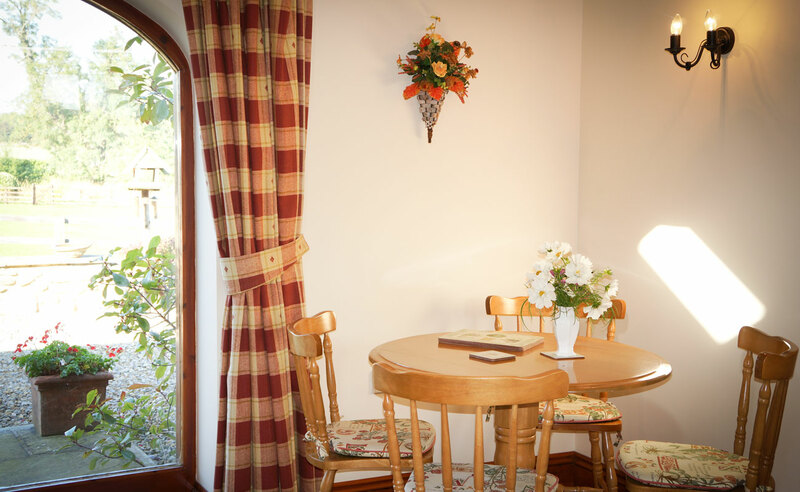 The patio overlooking Goose Pond houses the barbecue for you to use, or why not head down to the summerhouse by the pond for the perfect place to enjoy a good book and glass or wine? 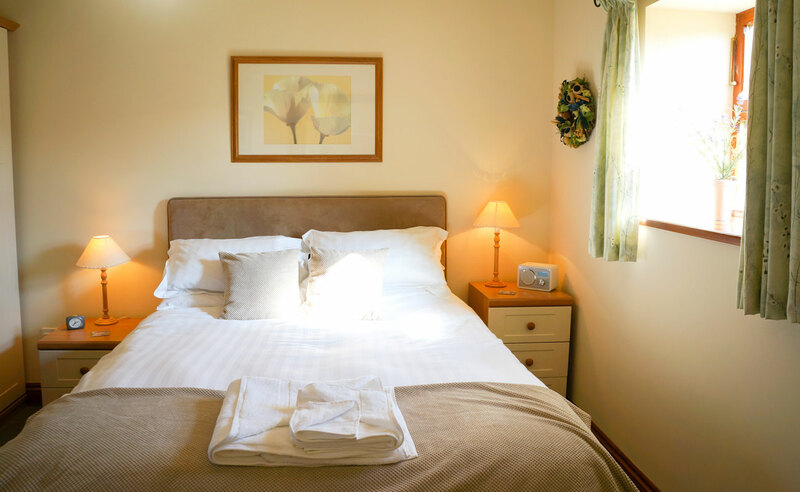 For a complete list of the features and items included as standard with all our cottages please see our what's Included page. 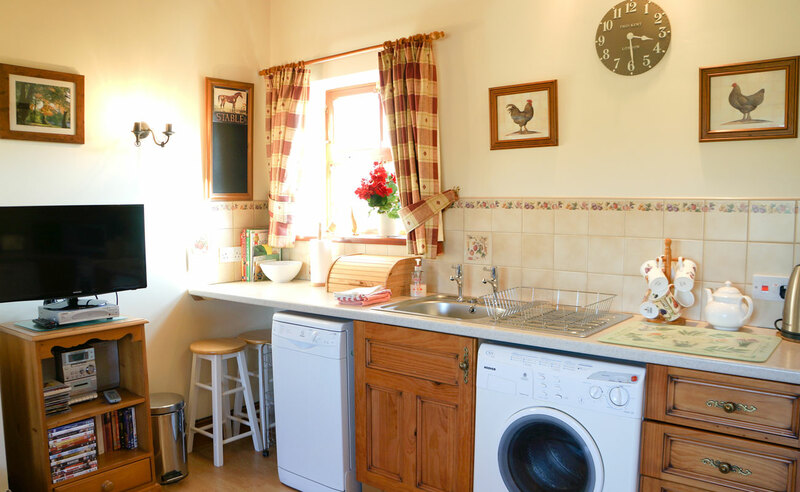 Up to two well behaved dogs welcome, see our pricing page for more details.